Beautiful yards add emphasis to a beautiful home. But growing a green lawn, colorful flowers, and healthy trees in the mineral-deprived soil of the Denver, CO, metro area can be a challenge. At Schulhoff Tree & Lawn Care, we are committed to helping you create landscaping you can be proud of. Our tried and true soil amendment program will improve the health of your soil so that your yard can flourish. We begin our soil amendment program by placing a layer of compost on top of your yard’s soil. In turn, this topdressing releases nutrients into your soil, improves your soil’s ability to absorb water, increases the activity of beneficial microbes, and reduces compaction. Taken together, these results of soil amendment will enable your soil to provide your plants with the nutrition they need to thrive. We have been providing our services to the Denver, CO, area for over 80 years, so we know what plants in this area need to stay healthy. The compost we use for our soil amendment services contains exactly what your soil needs to produce hardy vegetation. Don’t settle for sub-par growth stemming from poor soil. Schedule our soil amendment services today. Here at Schulhoff Tree & Lawn Care, we take pleasure in helping our customers achieve the yard of their dreams. We take great care to listen to our customers and answer their questions and concerns. When you work with us, you won’t have to worry about not feeling heard. In addition, we make sure to stay up-to-date on the latest in landscaping care so that we can help your yard look its best. 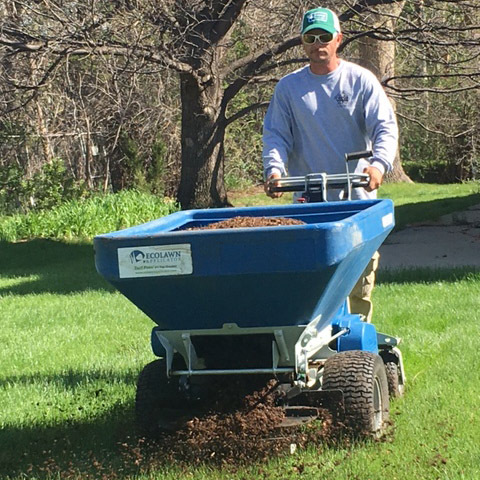 To schedule your soil amendment services in the Denver, CO, area, call (303) 279-1910. You can also request a free estimate by filling out our online form.